Home / 2009 / A.R.Rahman / A.R.RAHMAN HITS / O / Oscar Tamizhan / SLUM DOG MILLIONARE / Oscar Tamizhan " A.R.Rehman"
Oscar Awards a Long time Dream of Indian Cinema Industry got fullfilled with the movie SLUM DOG MILLIONARE which bagged 8 Oscar's , In which the Notable of our A.R.Rehman got 2 Awards (Best Original song for “Jai Ho” and best background score). It Makes us Proud of being One amung of our tamil wins the award. Going back in History, the following question arises. Six years ago, who listened to Tamil music? Only Tamilians. Five years ago, what did teenagers dance to at discotheques? What else but Michael Jackson, Dr.Alban or the latest Western dance hit of the day. But one man singlehandedly changed all that. With his universally appealing tunes, A.R.Rahman has demolished all conventional rules in Indian film music. He amazes with the manner in which he seamlessly integrates traditionally incompatible harmonies. 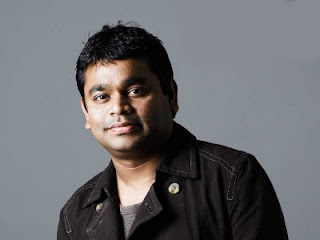 If anyone can make a perfect potpourri of the latest dancehall rhythms, electro-pop, Latin melodies, Western and Indian classical and pepper it all with a local folk touch or even something as otherworldly as Reggae and serve it all in a contemporary Indian manner that mesmerises listeners, it is A.R.Rahman. His music transcends all barriers - geographic, age or linguistic. Everyone from 6 to 60, Kashmir to Kanyakumari, as the cliché goes, are fans of his music. He was the first to successfully and solidly bridge the gap across the Vindhyas with Hindi speaking denizens who did not understand one word of Tamil enthusiastically lapping up his music. He gave film music a trendy legitimacy, a legitimacy that made Indian youth who were till then ashamed of admitting in public that they enjoyed Indian film music, dance to Humma Humma, Muqabla Muqabla, Musthafa Musthafa and Chaiyya Chaiyya at every pub, club and disco. Overnight, Indian film music considered ‘infra-dig’ by the youth became ‘cool’ and ‘hep’. All in all, quite arguably, no one has influenced Indian music as much as Rahman has in recent times.